While continuing my reading and research around vulnerability I came across this poem by Hannah Bauer. It’s pretty much gritty and real and sums up sum of what I have experienced and some of what I would have like to say … I particularly love the way Hannah has captured the two extremes of beauty and terror which seem to be at the root of vulnerability. that you work so hard to hide. 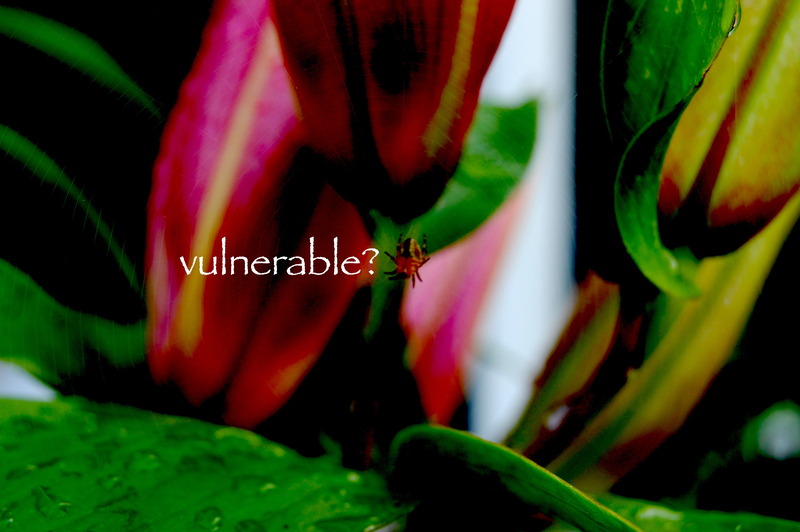 who you can be vulnerable with. when you have found the right person? But, I could be accepted. This entry was posted in poetry by robryan65. Bookmark the permalink.